By some wonderful glitch in the cosmos—or the invisible levers of late-capitalism—not one, not two, but three collaborative collections, featuring three of our favorite Japanese brands, have launched this week. And now, by dint of reading this, you stand to reap those stylish awards. Congratulations. You really are a lucky guy, you know that? 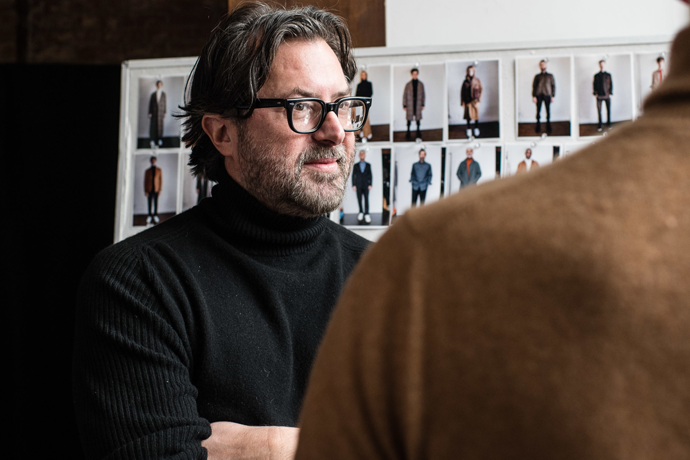 The players: Mr Porter, the curatorial British outpost housing all your favorite high-end brands, and visvim, the brainchild of designer Hiroki Nakamura, who's got a thing for modern twists on Native American style, noragis and cool-looking emblems. But don't take our word for it: take John Mayer's. The collection: An exclusive 28-piece collection inspired by California National Parks and the countercultural style of the Yosemite Valley Camp 4 rock climbers. 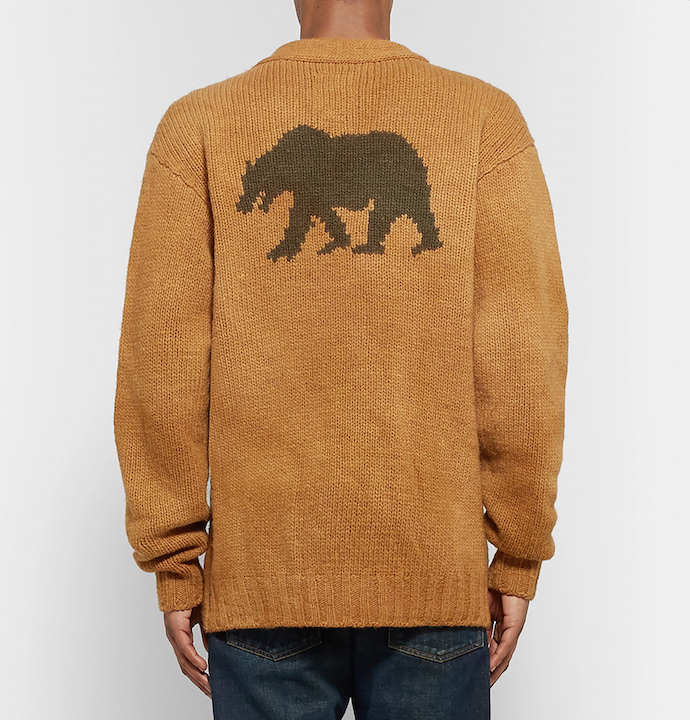 Unsure of how those insanely specific references translate into articles of clothing? Well, let's just say you should expect camp-collar satin short-sleeve button-ups, oversized wool-trimmed down coats, red bandana-panelled denim shirts and shoes that are stuck halfway between moccasins and sneakers. 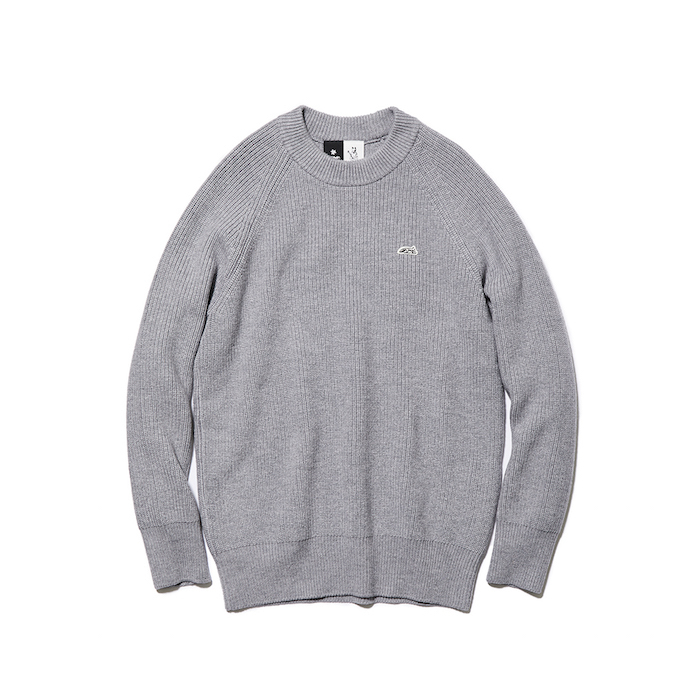 The players: The North Face Purple Label is the exclusive, fashion-forward imprint of nanamica, an outsdoorsy, Tokyo-based casualwear brand that seamlessly integrates technical and performance-driven fabrics into classic-minded styles. Spike Jonze is the director of movies such as Her and Being John Malkovich, who just so happens to have a knack for accessory design. 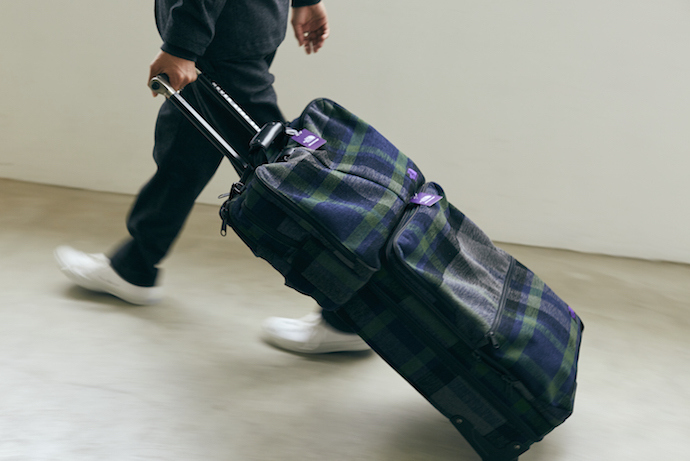 The collection: Taken with the functionality and general handsomeness of The North Face Purple Label's 3way bag on a visit to Japan, Jonze took the latest model and outfitted it in checkered Italian wool—inspired by The North Face bag his mother used on childhood camping trips. The 3way bag—which can be used as an overnight bag, a shoulder bag or a backpack—comes in two colors, as do the matching two-wheel shuttle rollers (aka, your perfect carry-on). The limited-edition collection launches on Saturday at select retailers worldwide (find it online here). The players: Goldwin is a predominantly ski-focused activewear brand, founded in 1950, known for extremely clean designs and very up-to-date tech. Geoff McFetridge is a renowned Canadian-born, California-based illustrator, and all-around chill-seeming dude. The collection: A special capsule of wintry essentials including scarves, beanies, sweaters, t-shirts and blankets, in grays and whites, each of which is emblazoned with Hokkaido Fox, a logo inspired by a snowy, mystic fox McFetridge once encountered skiing.